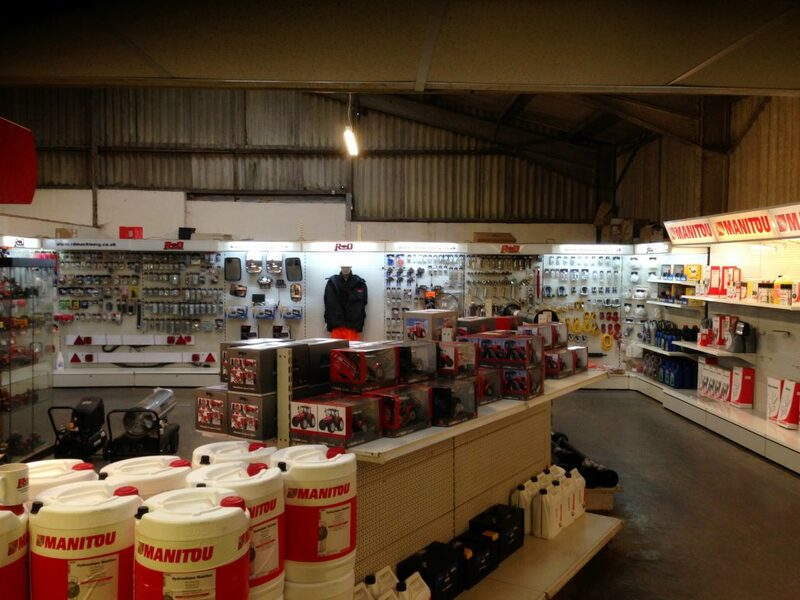 Our 1100sqft showroom is home to a wide range of spare parts to suit all of your Agricultural needs from the very latest in Agricultural technology to earlier products still in use today. R & D Machinery do not only supply Manitou parts and Kuhn parts but we also support many other products in use in our area by supplying both genuine and non genuine parts to help our customers save valuable time and money by not having to drive extra miles to the nearest dealer. We can supply Welger parts, JF-Stoll parts, Teagle parts as well as Draper, Massey Ferguson, Kramp and Walterscheid parts. In addition to supplying parts locally we also export parts to Countries all over the World so if you are enquiring about Manitou parts from anywhere in the World please call or email Patrick who will be very happy to assist. Please find a list below of company brand logos of Genuine and Non genuine parts that we are able to supply.